WELCOME TO INFLUENCER RELATIONSHIP MANAGEMENT! 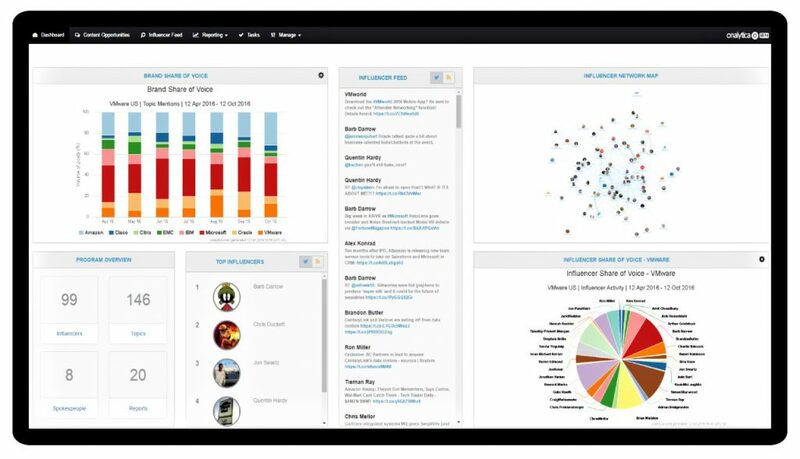 Onalytica’s Influencer Relationship Management (IRM) platform enables you to identify, track and engage with influencers beyond the traditional engagement model of media relations, digital marketing and public affairs. Run influencer programs that drive personalised outreach to the most influential journalists, analysts, politicians, bloggers, thought leaders, industry professionals, stakeholders and influential consumers. Automate the tracking and management of influencers replacing out of date excel influencers lists, google alerts and tracking tools. Deliver better ROI on all types of influencing activities including PR, Corporate Communications, Investor Relations, Analyst Relations, Software Evangelism, and blogger relations. Measure the results of your influencing activities, and understand which activities drive the best results. 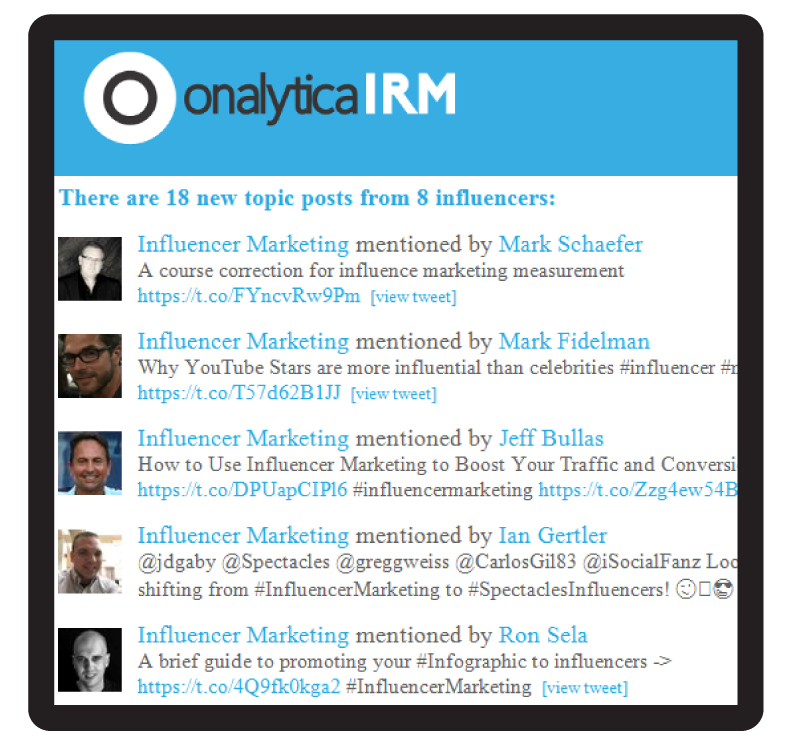 View, monitor and analyse all your influencers in one place with IRM’s customizable dashboards. 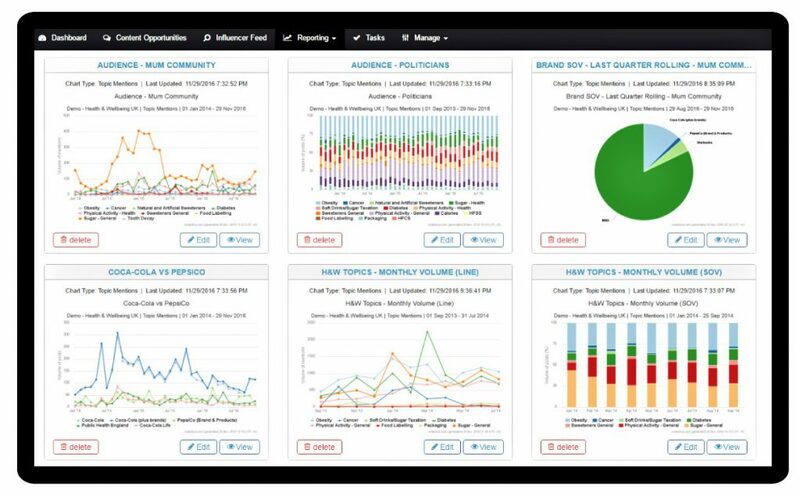 Save the charts you use the most, and get a snapshot of the top influencers and what they are talking about. Keep an eye on everything that is said by your key market influencers in this comprehensive and detailed timeline. Organise your feed to show selected influencers, topics, dates or social channels to dig down into the conversations your really want to see. View influencer profiles to gain a deeper understanding of their topics of conversation and connections to better understand how to tailor your engagements with them. Build successful relationships by really knowing your influencers. Upload your latest white paper, or case study to IRM and it will automatically identify when your content is likely to be relevant and useful for an influencer. This is a game-changer for organisations that have large amounts of white papers, case studies or similar content. Automatically identify moments-of-influence – opportunities to influence or be useful. Stay up to date on everything that’s happening with topic notifications, content opportunities and much more. Analyse all the influencer conversations with 12-months worth of historical data, and create charts showing: Volume Trends; Share of Voice; Share of Reach; Influencer relationships and Influencer Rankings. 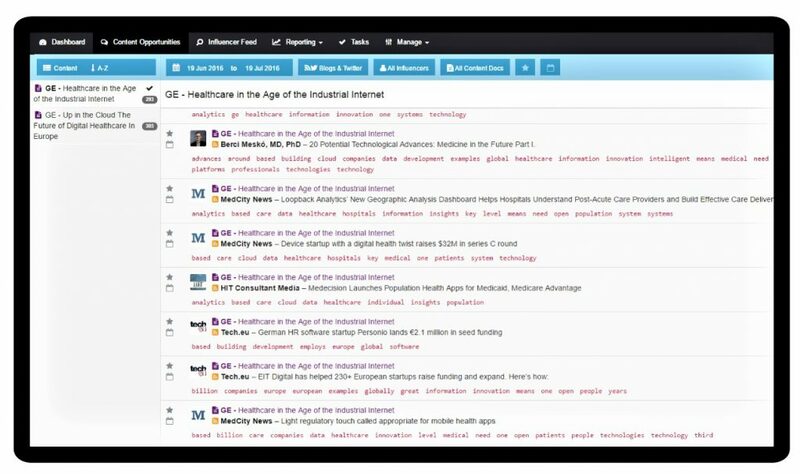 This functionality provides you with the data and insights you need to understand key online discussions. 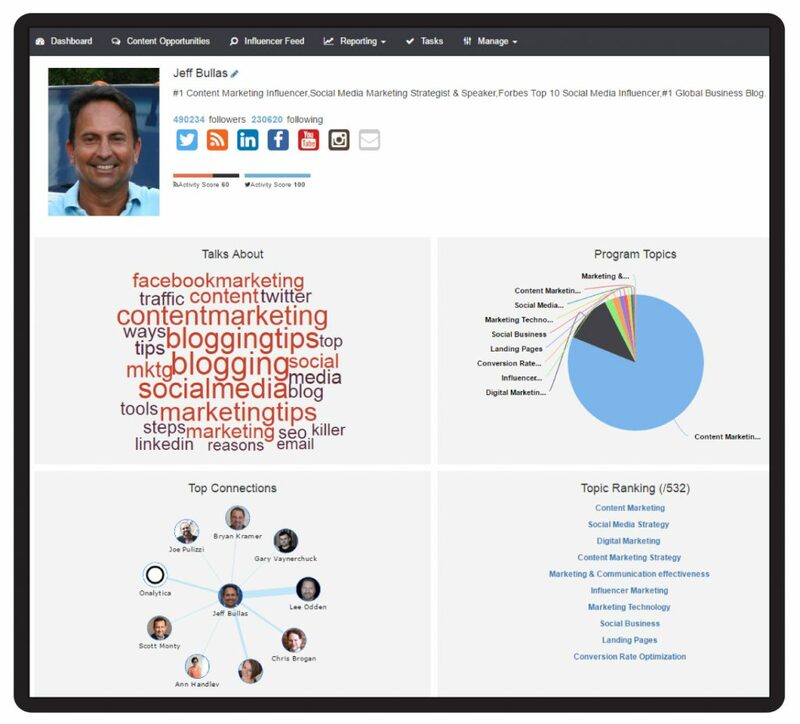 If you are interested in learning how IRM can help you with your influencer marketing strategy get a free demo today by clicking the button below!